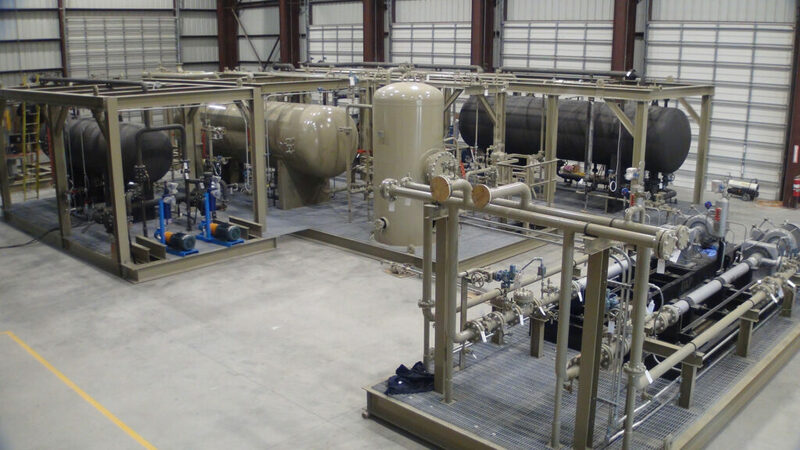 S-Con Design and Fabrication of Custom 120 MMSCFD Processing Plant - S-CON Inc.
Work continues to progress on the detailed design and fabrication of a custom, 120 MMSCFD Refrigerated J-T Plant. 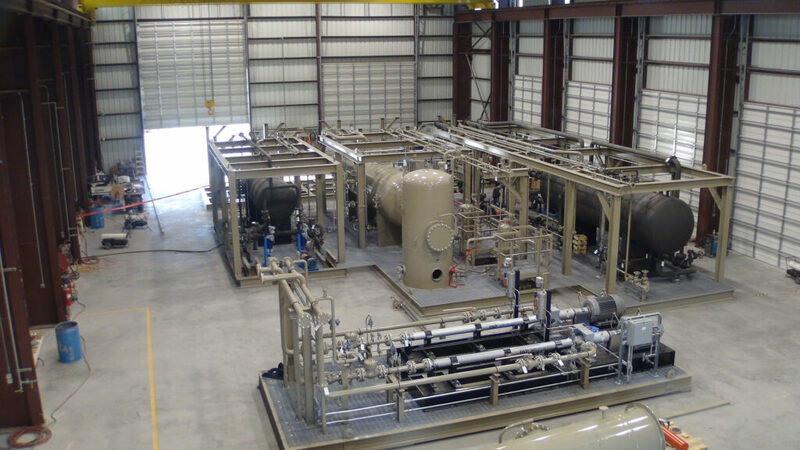 The Plant, when completed, will consist of more than 20 process skids and include a 200-gpm Amine Plant, 3-bed Mol Sieve Plant, the Refrigerated J-T Plant with a De-methanizer/De-ethanizer, the Refrigeration System (using Propylene Refrigerant) and a Hot Oil System to supply necessary process heat. When finished, S-Con will have designed and fabricated this plant within eight (8) months of being released to proceed.